- Delivered to the U.S.A and Canada in only 3-7 business days and to anywhere else in the world in one or three weeks. - Choose photos from your iPhone, Facebook, Instagram or Dropbox. Or just take a photo inside the app. - Include a personal message with emojis! - New postcard designs change seasonally. Easily customize the colors of any design to fit your unique style. - Purchase with Apple Pay or scan your credit card at checkout. Each Postagram is backed by the Sincerely Guarantee: If your Postagram gets lost in the mail or is damaged or you are less than wowed for any reason, we will send another Postagram free or give you a complete refund. Our app is free to download! 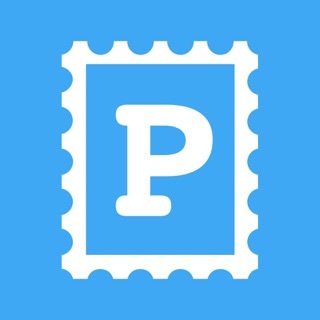 We’re always improving Postagram and making it easier for people to connect with their loved ones and friends all over the world. It’s because of people like you that we an do what we do – if you had a great experience with Postagram, please consider leaving us a review. Elle permet d'envoyer de vraie cartes postales de façon très facile! Super connections avec Dropbox et cartes du plus bel effet! C'est une idée geniale car non seulement on envoie une photo du lieu de vacances mais en plus on personnalise avec les membres de la famille qui y figurent. surtout belle surprise pour celui qui reçoit la carte. Je donne toutes les étoiles car cette appli offre des destinations lointaine voir même très lointaine au même prix! C'est du bonheur! Ils offre des cartes de temps en temps quand on les oublis! Je trouve que posta gramme c'est quand même plutôt cool pour offrir des émotions! Copyright © 2012-2019 Sincerely Inc. All rights reserved.